This year, my #1 goal has been to lower my family’s grocery expenses from almost $1000 to no more than $772 each month. For me, grocery shopping is the thankless, difficult, necessary task that I do each and every week, going back again and again to the basics: meal planning, making lists, inventorying, not wasting food. 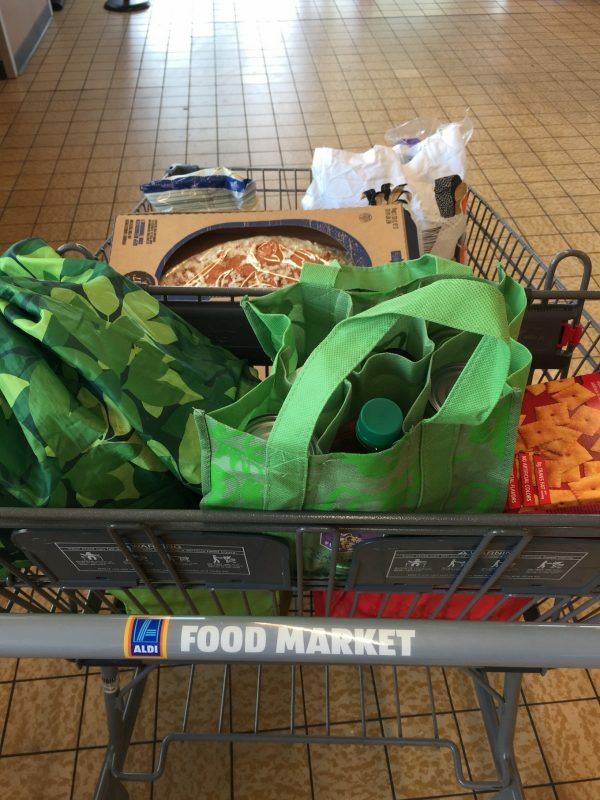 I love shopping at Aldi, the low-cost grocery store, but it’s 25 minutes away from my house, so getting there, buying groceries, and getting back to put them away can be a pain. Enter: Instacart. A few weeks ago I saw a sign in Aldi that advertised grocery delivery with Instacart. For Aldi groceries! I was intrigued, and decided to spend the month of December testing the service out (because, with all of the running around and craziness in December, what better month to have groceries delivered straight to your door?